On June 10, 1942, the German government announced that it had destroyed the small village of Lidice, Czechoslovakia, killing every adult male and some fifty-two women. All surviving women and children were then deported to concentration camps, or if found suitable to be "Germanized", sent to the greater Reich. The Nazi's then proudly proclaimed that the village of Lidice, it's residents, and its very name, were now forever blotted from memory. 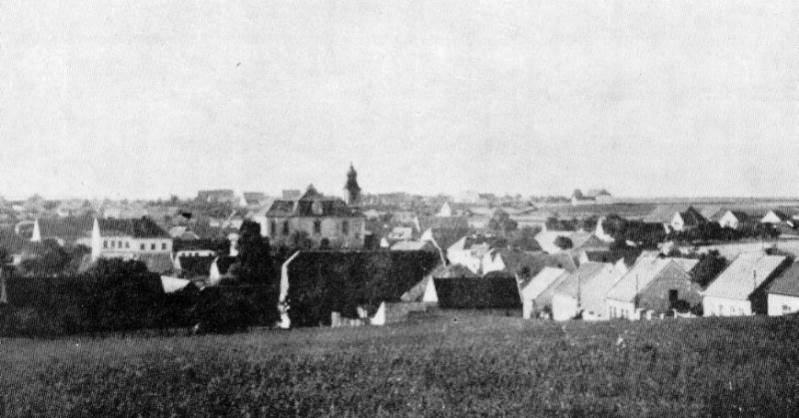 Pre-destruction view of Lidice, the barnyard in the foreground is the Horak farm where the men of the Lidice were shot down. For centuries Lidice was an ordinary agricultural village, which belonged to the Buštehrad manor, located in a shallow valley of the Lidice Creek in the Kladno district sone 20 km west of Prague. The village is today a quiet town that lies adjacent to valleys and of meadows, with a few stone ruins of a farmhouse and church, and a striking bronze sculpture of children. This is the site of the original village, and what happened here on June 10th, 1942, shocked the entire world. After the Munich Agreement of September 1938, Hitler's troops occupied the ethnic-German border regions of Bohemia and Moravia (the Sudetenland). Soon afterwards Hungary received territory in southern Slovakia and Ruthenia. Czechoslovakia ceased to exist in March 1939, when Hitler occupied the rest of the Czech lands, and the remaining part of Slovakia became a Nazi puppet state. 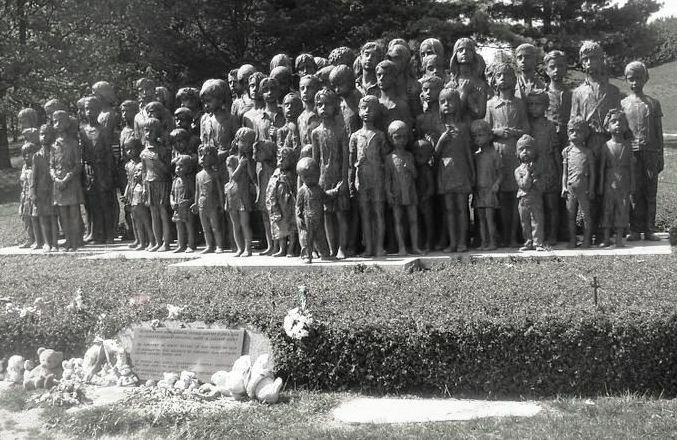 The Nazi occupation of Czechoslovakia had tragic consequences for Lidice. 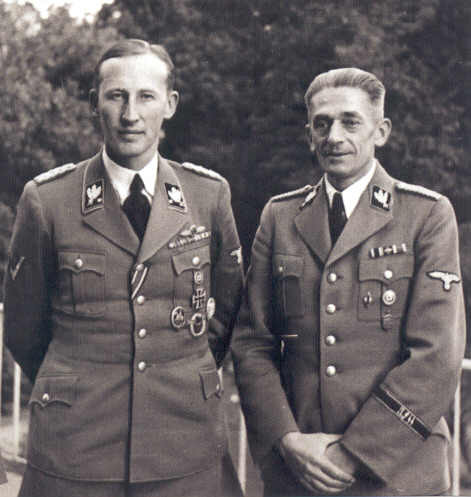 In order to suppress the growing anti-Fascist resistance movement, security police chief SS Obergruppenfuhrer - Reinherd Heydrich was appointed deputy Reichs-protektor in September 1941. During his short reign of terror, 5000 anti-Fascist fighters and their helpers were imprisoned. The courts working under martial law were kept busy and the Nazis even had people summarily executed without a trial in order to spread fear throughout the country. So many people throughout the Sudetenland died on the scaffold from Heydrich' s persecution, that he earned himself the nickname the "Hangman". 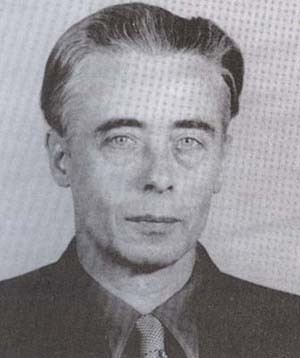 Edvard Beneš, the leader of the Czechoslovak government-in-exile, together with František Moravec, head of Czechoslovak military intelligence, organized and coordinated a resistance network. Hácha, Prime Minister Eliáš, and the Czech resistance acknowledged Beneš's leadership. Active collaboration between London and the Czechoslovak home front was maintained throughout the war years. The most significant act of resistance was the assassination of Reinhard Heydrich during a mission codenamed: Operation Anthropoid. 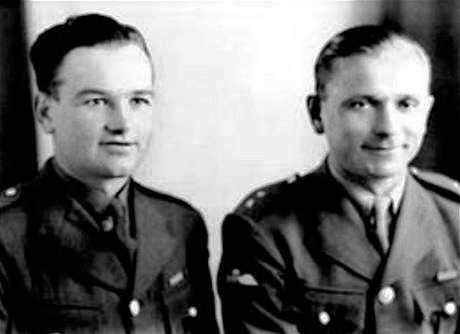 Two Czech patriots, Jan Kubis and Joseph Gabcik, serving with the Polish forces in Britain, volunteered to be dropped by parachute near Prague. Their mission, to assassinate SS Obergruppenführer Reinhard Heydrich, the Reich Protector of Bohemia and Moravia. The ambush took place on May 27, 1942, as Heydrich drove to his office. Severely wounded, he was rushed to Bulovka Hospital where he died eight days later. Soon after his death, the Nazi reprisals began when an enraged Hitler ordered Heydrich's underling SS Gruppenführer Karl Hermann Frank to initiate mass executions of the Czech populace, but Frank persuaded him first to search for the assassins. The Germans raided 5,000 towns and villages arresting some 3,180 people, 1,344 were sentenced to be executed. This number however was far to small for Adolf Hitler who ordered severe reprisals threatening to kill 30,000 Czechs. All adult males were to be executed. All woman to be immediately transported to concentration camps. All children suitable for "Germanizing" were to be placed with SS families in the Reich and raised as Germans. The village was to be destroyed and the areal leveled. On the morning of June 9,1942 10 trucks filled with Security Police rolled into the small town of Lidice in the Kladno district. The sleepy town had been targeted because the Gestapo in Kladno had intercepted a letter belonging to a local family by the name of Horak, who had a son in the Czech army in Britain. This letter was labeled as "suspicious" and the ensuing action resulted. All men of the village were rounded up and taken to the farmstead of the Horák family on the edge of the village. Mattresses were taken from neighboring houses where they were stood up against the wall of the Horáks' barn. Shooting of the men commenced at about 7 a.m. At first the men shot in groups of five, but the SS commanders thought the executions were proceeding too slowly and ordered that ten men be shot at a time. 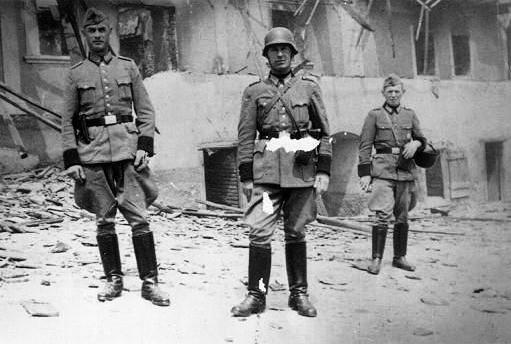 By 22.00 on the 9 June 1942 Gestapo agents from Prague were joined in Kladno by two companies of police in battle-dress, and a squad of Security Police. The Security Police were under the command of SS-Hauptsturmfuhrer Max Rostock, who would carry out the executions. While the extermination squad dealt with the men, other gangs went round with cans of petrol firing the buildings. Later that evening the Germans sealed off the village. By noon the next day, in an orchard, as John Bradley put it, 'seventeen rows of corpses in bloody clothes, with shattered skulls, brains and guts spilling out, lay on the ground in batches of ten'. 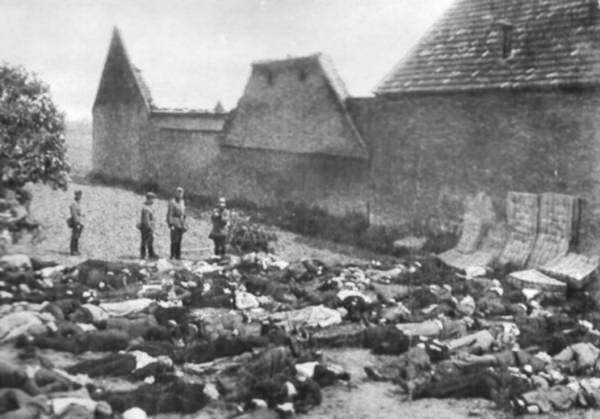 These were the 173 men of the village gunned down by a German death squad tanked up on alcohol. After them came engineers with charges to blow up the still-standing walls, then pioneers with bulldozers who flattened the ruins, uprooted the fruit-trees, and filled in the lake, they even diverted the stream. On the 11 June 1942 trucks carrying 30 Jews from Theresienstadt transit ghetto arrived in Lidice and began the digging of a common grave for the men executed the day before. The women of Lidice were no more spared than the children of the village. A few were executed with the remaining men of Lidice in Prague on the night of the 16th of June. When the other women and the children were separated, nearly 200 women were transported to Ravensbruck; four of them, heavily pregnant, were allowed to give birth to children they would never see. After three brutal years of treatment only a handful of the Lidice women returned home. In the village the dead were left lying where they fell and the newly brought out soon-to-be victims had to first walk past them and stand in front of them. The firing squad always took two steps back and the scene of horror repeated itself. The men were not blindfolded and were taken to the place of execution without bonds. This spectacle continued until the afternoon hours when there were 173 dead bodies lying in the Horák farm orchard. The next day, another nineteen men who were working in a mine, along with seven women, were sent to Prague, where they were also shot. 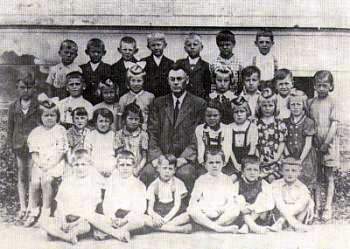 Eighty-eight Lidice children were transported by bus to Lovosice located in the area of the former textile factory in Gneisenaustreet of Lodz on June 13, 1942. Their arrival was announced by a telegram from Horst Boehme's Prague office which ended as follows: "these children are only bringing what they wear. No special care is desirable"
The children were not sufficiently fed and were forced to sleep on cold dirt floors without blankets, they covered themselves with their coats if they had any brought one with them. Under specific orders of the camp management, no medical care was given to the children. Shortly after their arrival in Lodz, officials from the Central Race and Settlement branch chose seven children at random to be "Germanized". Adolf Eichmann then gave the order for the murder of the remaining children on July 1, 1942. On July 2, 1942 all of the remaining 81 Lidice children were handed over to the Lodz Gestapo office, who in turn had them transported to the extermination camp at Chelmo some 70 kilometers away where they were gassed to death in Magirus gas trucks. It is generally believed that they were killed on the day of their arrival. Out of the 105 Lidice children, 82 died in Chelmno, six died in the German Lebensborn orphanages and 17 returned back home. After the villagers had been either shot or deported, military police ransacked the homes once again and took anything of value. All farming tools were taken and cattle were herded up. Anything of the remotest value was taken. Lidice's children were sent to families in Germany and elsewhere to be 'Germanized'. Of 104, only sixteen were ever traced. In the days that followed, Lidice was erased from the face of the earth. Even its cemetery was desecrated, its 400 graves dug up. Jewish prisoners from the camp at Terezin were brought in to shift the rubble. New roads were built and sheep set down to graze. No trace of the village remained. 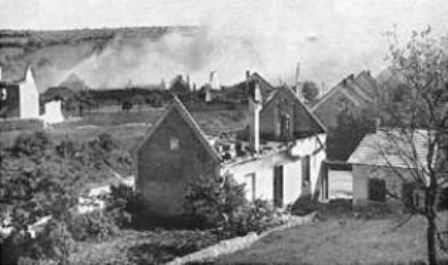 A small Czech village called Ležáky was also destroyed two weeks after Lidice. Here both men and women were shot, and children were sent to concentration camps or sent to the Reich to be "Germanized". The death toll resulting from the effort to avenge the death of Heydrich is estimated at 1,300. This count includes relatives of the partisans, their supporters, Czech elites suspected of disloyalty and random victims like those from Lidice. All that was left of Lidice was a great brown blotch of broken rubble, obscene and sterile amid the growing crops. The re-establishment of the village began soon after the liberation of Czechoslovakia in May 1945. On June 3, 1945 Red Army soldiers erected a monument at the grave of the men of Lidice. The place was later declared a national cultural memorial. The area also includes a statue of a woman mourning at the grave site and a statue of a mother with children located on the foundations of the original school. By the beginning of the 1950s, more than 100 homes were built not far from the original site. Its Rose Garden became symbolic of the continuity of life and was created with a donation of 29,000 rose bushes from 32 countries. The Final Solution by G. Reitlinger – Vallentine Mitchell &Co Ltd 1953.